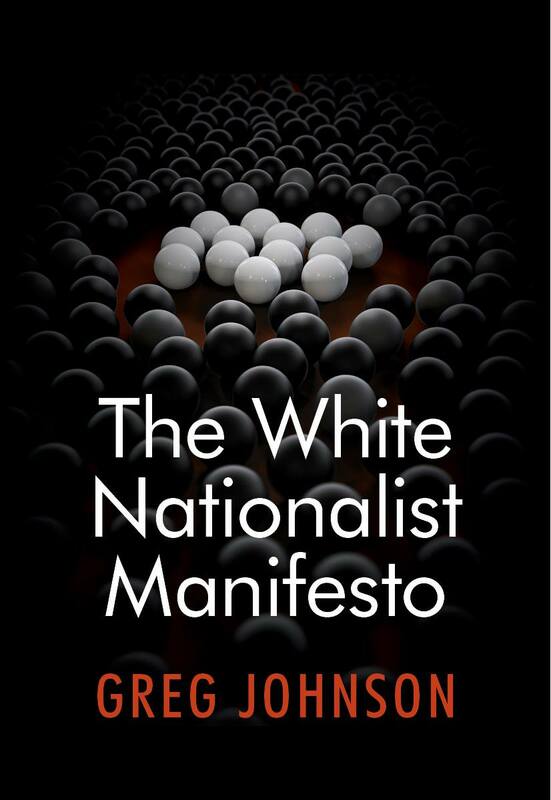 Published: September 18, 2018 | This entry was posted in Counter-Currents title, ecology, news item, philosophy, politics, race and ethnic studies and tagged johnson-book, news item, The White Nationalist Manifesto. Both comments and trackbacks are currently closed. Greg, I still haven’t received my order. When will the hardcovers ship? They have shipped. Send me your order number. We will see what is going on. Yeah… I didn’t get it. Maybe it was delivered to the wrong address or something. I ordered two different books that were part of the same order, I figured they would be shipped together, one arrived the other did not. No worries, I will just order another from Amazon. This book needed to be written and I’m glad to see how Greg has powerfully crystallized his thoughts. It’s all important, but I’d like to point out how everything flows out of what’s written in the very beginning. If our people sense they have no future, they will make choices (or lack thereof) that reflect that loss of a meaningful future. It’s fascinating to observe how our people sense and act on that grim understanding without consciously acknowledging it whatsoever. It was indeed an honor to have a thought-provoking conversation with Greg on this book and using it to imagine a different future while on No White Guilt’s YouTube channel back on Sept 22nd. Here’s to the spreading and further development of these ideas. Cheers! The paperback version is not available on amazon.com. Only the kindle and hardback is available. Purchased (Kindle). Read. Clear, well written, for the audience that already is convinced. No substantially new material, or arguments but a clear articulation of the basics, and a sufficient basis for common discourse among our people. If I’m remembering right some of us donated to the fund to help you while you were working to write the Manifesto. So, I think I prepaid for one — am I remembering this right? Will you send us a mail or something? Yes, I have a complete record. Greg, Your showing on J-F’s Public Space channel tonight was impressive. I grant you that the welfare state is particularly vulnerable to exploitation in multiracial societies – especially as is now happening in Europe, post-migrant wave. However, it still remains that the welfare state exerts a dysgenic force as now constituted – even in monoracial societies. It accelerates hypergamy, rewards the reckless & punishes the prudent. Any sane sustainable ethnostate will have to think very hard about how the welfare state is reconciled with the chaos of today’s sexual market. True. Just as the Welfare State is incompatible with open borders, it is incompatible with open breeding. Eugenics, both positive and negative, must be in play. It can be humane and voluntary up to a point, with the focus on the positive. But women who flout their state mandated reproductive limit must feel the tooth of the law. Is this book available for purchase yet? The dimensions of your books are usually 6 x 9 inches. Since this is a manifesto, and manifesto’s are designed to be widely read, passed around, and kept on hand, it may be appropriate to print a pocket edition of, say, 4.4 x 6.5 inches. A pocket edition would also be easier to hide for those of us who are secret agents. I would be interested to see what other’s think of this idea. Thank you for getting the ball rolling. I believe you are the 1st to create a new constitution, for a new era. Can’t wait to read this, placed my order. Good simple cover art too! Have you considered releasing this as audio? Any plans for an electronic version? Will this book also be available on Amazon or is it a CC exclusive?